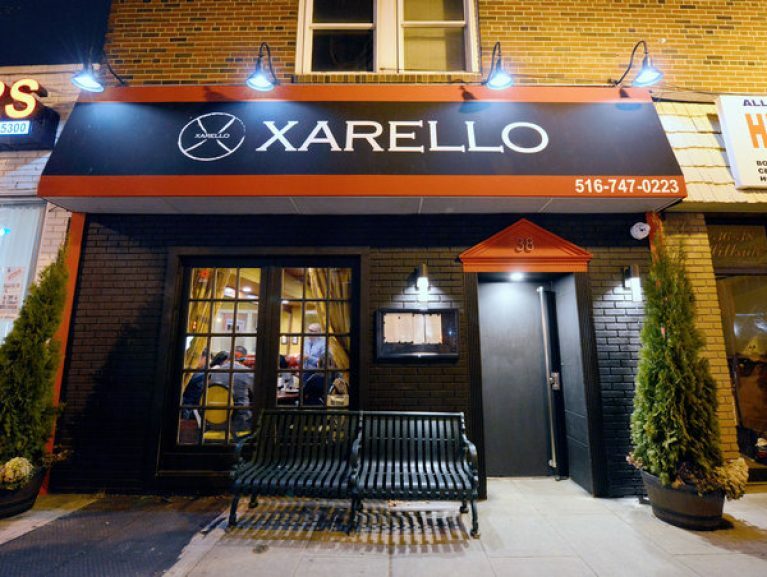 Look close enough at Xarello, a Mediterranean restaurant that opened late last year in Williston Park, and you will see a place where nearly every detail is perfect. 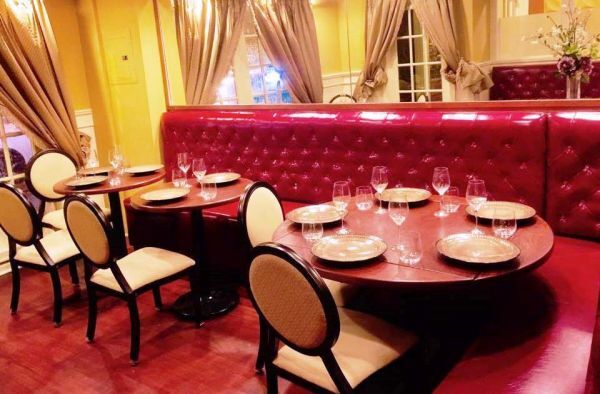 The dining room is sleek and romantic, with radiant cherry-red banquettes that hark back to the Russian Tea Room. Glasses, tableware and cutlery are all four-star quality. And the service, which embraces a more formal style, is outstanding. Water glasses barely reach the halfway mark before they are refilled, and plates of food land unfailingly in front of the person who ordered them. You will not find much better service this side of the Lincoln Tunnel. Xarello also has two handy and personable owners in John Alexopoulos and Claudio José Peralta. Both men are veterans of Manhattan’s Picholine, a Michelin-starred restaurant that closed in 2015, and the experience is evident in Xarello’s polished service. Like all caring owners, neither is above stepping in to clear a plate or refill a water glass. Lagging slightly behind this gleaming facade is the food. While it is almost always good, it never quite reaches the level of panache found in other aspects of the restaurant. Chef Katia Ramirez worked at Picholine with Mr. Alexopoulos and Mr. Peralta, and it is easy to understand the potential they saw in her. Her cooking is nothing if not bold. But what is both encouraging and frustrating about Xarello is how much of the food is one mislaid component away from being excellent. We liked the flavors in the braised rabbit risotto appetizer, for example, which also included mushrooms and roasted broccoli. But the sauce was thinner and less creamy than it should have been, and as we made our way to the end of the dish, some of the stock used to flavor the sauce lay in a shallow pool at the bottom of the bowl. This is especially curious as Ms. Ramirez favors vialone nano rice — a highly absorbent grain capable of taking on twice its weight in liquid — instead of arborio for her risottos. A heavy touch was also found in two pasta dishes. The house-made butternut squash agnolotti (similar to ravioli) was tender and flavorful but sat in an abundant pool of sage brown butter sauce. If a chef goes to the trouble to make by hand, he or she wants to make sure it is the star of the dish, but our version had too much butter. It didn’t completely vanquish the pasta, but it gave the dish an oily, fatty quality that was cloying. Similarly, a house-made tagliatelle with mussels was weighed down by an extravagant amount of parsley picada sauce. The sauce and mussels were excellent, though the tagliatelle was cowed by the picada, so much so that the pasta could only provide backup texture for the dish. An appetizer of cod cakes was very good, especially the cilantro and harissa aioli, the spices just subtle enough to help the cod without overpowering it. 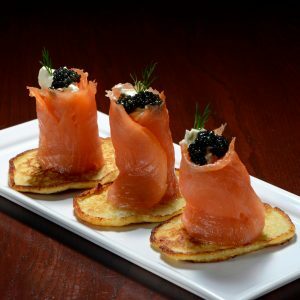 And the salmon blinis appetizer was outstanding, the smoked fish shaped into flower buds, then filled with crème fraîche and topped with osetra caviar. It was also highway robbery at $15. 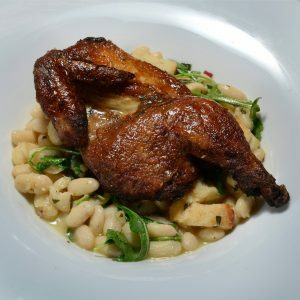 As for the entrees, a Cornish hen under brick was tasty, the bird served super tender and evenly cooked on a bed of cannellini beans. And the salmon with couscous and lobster sauce was perfectly prepared, seared crispy on the outside and medium-rare in the center. Less inspiring was the smoked pork chop, which came with a nice savory bread pudding but a too-thin cranberry sauce. The filet of sole looked gorgeous, the strips of fish layered in a T-shape above a bed of chickpeas and studded with flaming-red piquillo peppers. But as we dug in, we realized that in order for fish to hold firm enough to be stacked, it also had to be considerably overcooked, as was ours. Desserts are exceptional, especially the very creamy eggnog panna cotta, and the brilliant Greek cheesecake with rosemary caramel sauce studded with pomegranate seeds. Make no mistake, there is not a single dish on Ms. Ramirez’s menu that is uninteresting or lacking in flavor. Instead, the devil is in the details, usually having do to with an imprudent handling of sauces. To use a baseball metaphor, Ms. Ramirez is like a young pitcher with an overpowering fastball who needs to mix in the changeup. When she does, Xarello — which already has everything else in place — will be a restaurant to be reckoned with. 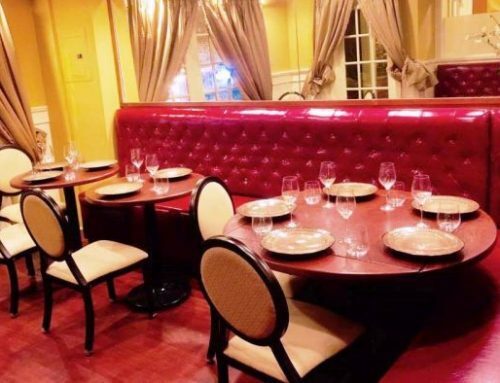 The Space Intimate, romantic bistro with formal touches. Sixty seats. Accessible towheelchairs. The Crowd Mostly white-collar, many of whom look like they have stepped right off the train from Manhattan. We saw no children on our visits. The Bar Handsome L-shaped granite bar with 12 seats. Eight house cocktails, $11 each. Beer, all in bottles, $4 to $6. Fifty wines by the bottle, $25 to $250, and 22 wines by the glass, $8 to $16. The Bill Appetizers, $8 to $15. Entrees, $18 to $29. Desserts, $8. Generally, a good value. What We Liked Cod cakes; salmon blinis with osetra caviar; charred baby octopus; salmon with lobster sauce; Cornish hen; all desserts, especially the Greek cheesecake. If You Go Tuesdays through Thursdays, 5 to 10 p.m.; Fridays and Saturdays, until 11 p.m.; Sundays, 4 to 9 p.m. Reservations are a good idea on weekend nights. Unlimited parking on the street after 7 p.m. Three-hour free parking lot across Hillside Avenue.